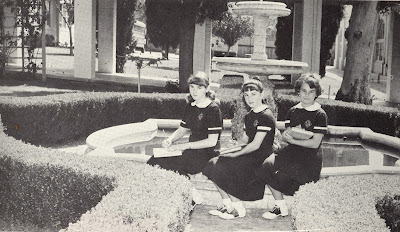 Your Museum collects yearbooks from San Fernando Valley schools and colleges for several reasons. The first is the most obvious; they give us photographs of students, teachers, clubs, sports and other events. 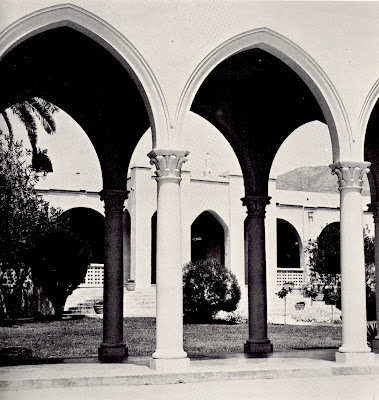 But they reveal the nature of school funding, the school's curriculum, parent and community involvement, and in the case of religious schools like Villa Cabrini in Burbank, aspects of the doctrines being taught in the institution. 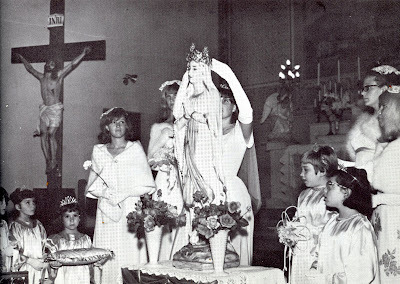 Here are a dozen photographs from the "Cabrinian" yearbooks for 1961 and 1966. They are gifts to The Museum of the San Fernando Valley from Gary Fredburg 2013. First grade class. 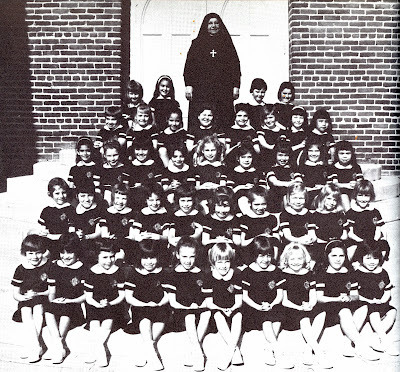 Villa Cabrini taught students from first grade through seniors in high school. 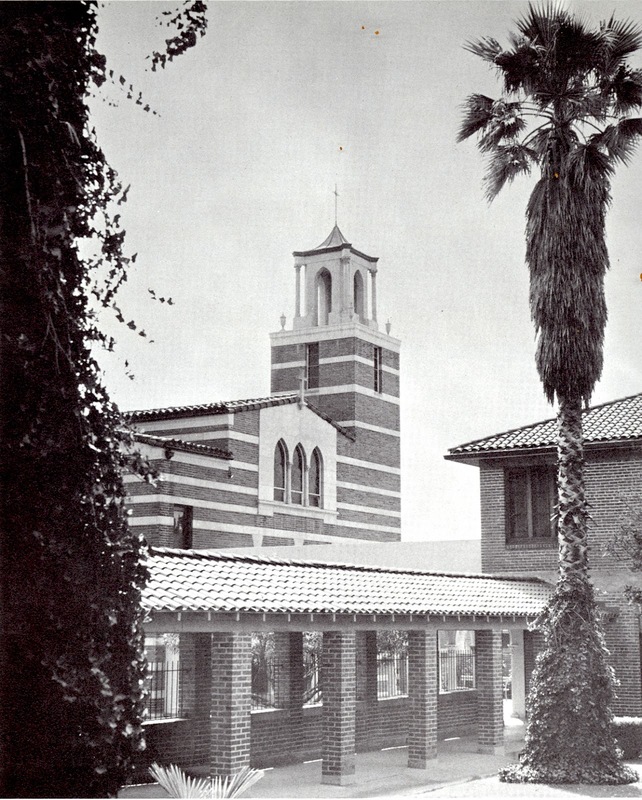 The school had both day students and residents. Note the size of this class. Saint Francis Xavier Cabrini, founder of the Missionary Sisters of the Sacred Heart of Jesus. 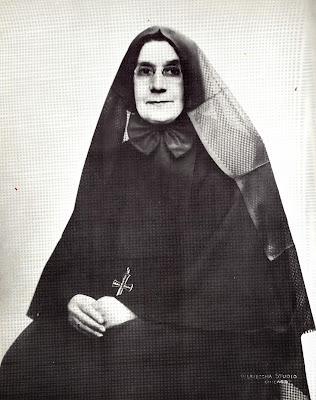 Mother Cabrini was the first American citizen to be canonized as a Catholic saint. 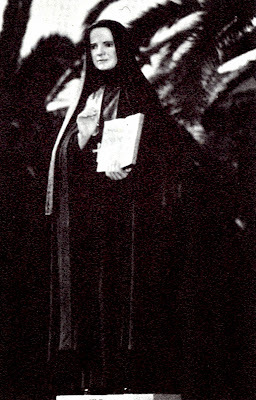 In 1961, the followers of Mother Cabrini were under the jurisdiction of the "Reverend Mother" Valentina Colombo, the Superior General of the Missionary Sisters. 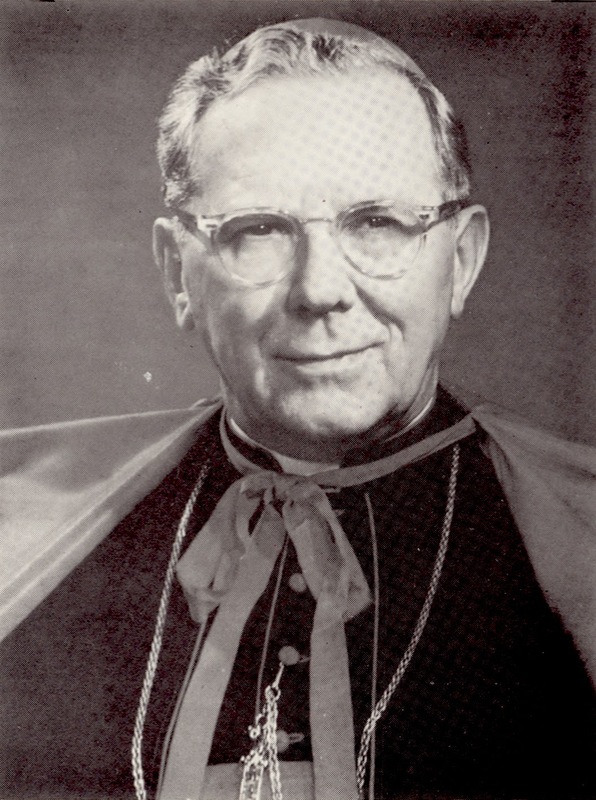 The leader of the Roman Catholic Archdiocese of Los Angeles in 1961 was the exceptionally power James Frances Cardinal McIntyre. He was the first "prince" of the Catholic Church or cardinal of Los Angeles. 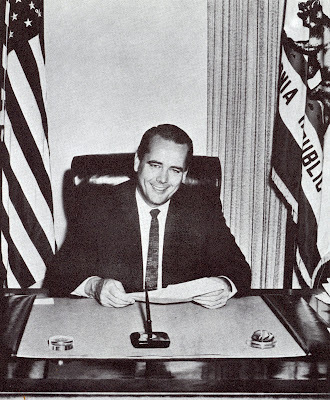 His selection as a future elector of a new pope, recognized Los Angeles as a major force in the Catholic Church. Villa Cabrini and its nuns were under the shared jurisdiction of Cardinal McIntyre and Vallentina Colombo. Devotion to the Virgin Mary was high lighted in the month of May. Images of Mary were crowned, in Burbank and across the world, as the "Queen of the May." U.S. Congressman Ed Reinecke bought a page in the Villa Cabrini yearbook to demonstrate his support of the school. 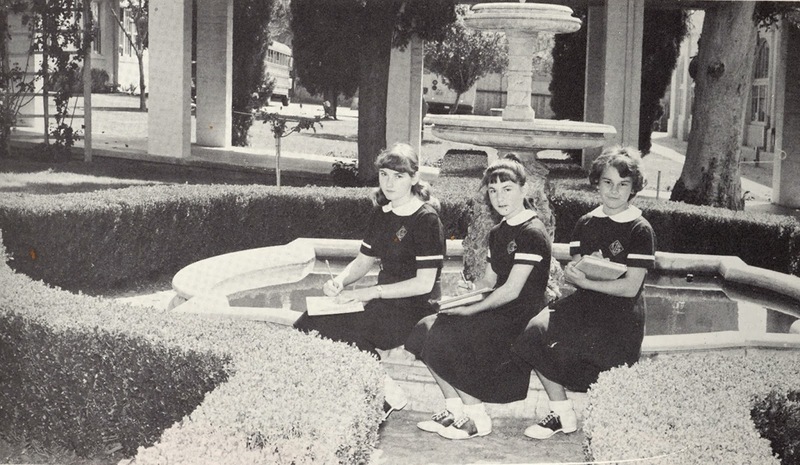 Donate tax-deductible yearbooks and school artifacts to your Museum today. Labels: 1961, 1966, CATHOLICS, McINTYRE James Francis Cardinal, REINECKE Congressman Ed. Very interesting, keep them coming.